This crochet skeleton granny square is a part of my Halloween Blanket Crochet Along. Click here to see the other squares. 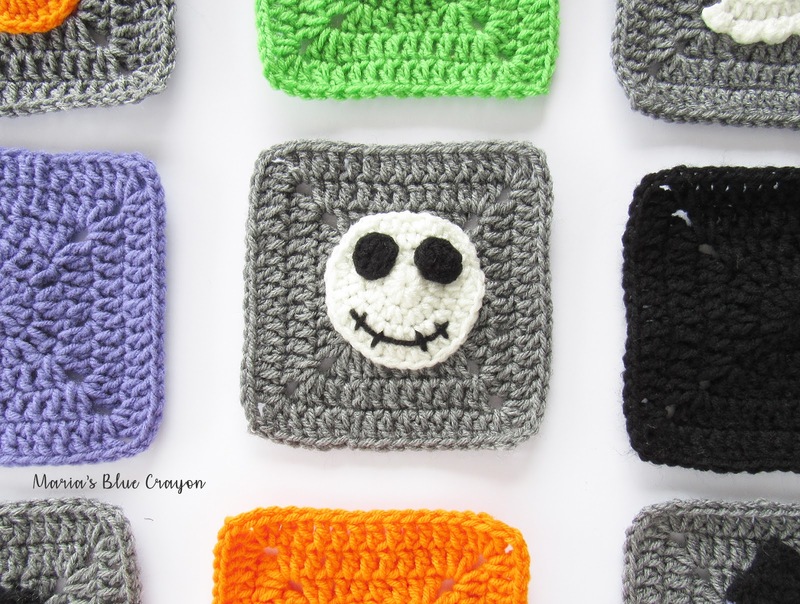 For Week #3 of the CAL we will be making 4 gray squares, 4 green squares, and 4 skeleton appliques that will be sewn onto the gray squares. This skeleton is one of the easiest appliques! You’ll get them done in no time. 🙂 Watch the video to help you through and find the materials needed & free written pattern below! Fasten off, leave tail for sewing onto granny square. Learn how to Sew on Appliques to your granny square here!